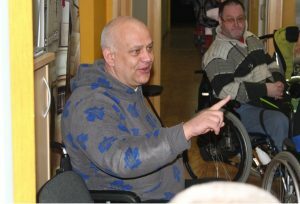 Towards the end of 2016 APEIRONS, the Latvian partner, organised three seminars on tourism accessibility where the main focus was on welcoming visitors by becoming accessible to everyone and shifting the mentality away from “specially made for disabled” to “universal use and access to everyone”. The seminars were attended by accessible tourism users, public authorities, tourism professionals and Small-Medium Enterprises (SMEs). Each seminar was tailored to delegates so as to make it relevant and achieve its objectives: the first seminar was organised mainly for users of tourism services in order to find out traveling patterns and challenges arising during travels. As participants stated, the main issue was that most of the times attractions and accommodations have no information on accessibility on their websites. Even at times when such information is provided, upon arrival to the site it would turn out not to be as accessible or suitable, which would then make the trip challenging. This demonstrated even further the need to raise awareness locally and provide specific training targeting tourism professionals and the hospitality industry. The first seminar was organised mainly for tourism service users in order to find out traveling patterns and challenges arising during travels. Their feedback was shared with participants in the subsequent seminars. APEIRON started to tackle the issue of accessible tourism in 2013 when it started developing the idea of a mobile application with a data base of accessible object and places. The App, called ‘MAPEIRONS’ was launched in summer 2014 following an audit of more than 22.000 objects and places around Latvia and including 1100 in the App. As the data shows 1 in 20 sights are fully or partly accessible. In terms of accessibility Latvia is far from brilliant but it is progressing slowly and steadily. Up to date MAPEIRONS includes more than 22.000 objects and during 2016 it has been downloaded 522 times on Play Store and 324 times on AppStore. This proves that people do like to travel and use modern technologies when planning their trips. Through visits4u APEIRONS will be able to map more accessible touristic sights and develop itineraries in Riga (the capital) and in Sigulda, one of the most beautiful cities in Latvia. Tourist offerings in Riga will focus on contemporary attractions where the main place of interest is the Latvian Centre for Contemporary Art, whereas in Sigulda the focus will be on historical heritage where the main attraction is Sigulda Medieval Castle ruins. It is envisaged that MAPEIRONS will be enriched with further data collected during and as part of visits4u. The content of this website represents the views of the author only and is his/her sole responsibility; it cannot be considered to reflect the views of the European Commission and/or the Executive Agency for Small and Medium-sized Enterprises or any other body of the European Union. The European Commission and the Agency do not accept any responsibility for use that may be made of the information it contains. We aim to design to Triple-A Web Content Accessibility Guidelines 1.0. We have one set of pages for the whole site, which we aim to make accessible to all. We aim not to separate accessible and less accessible pages into separate sections. – By clicking on the blue and white symbol on the left of the screen. We aim to use clear and plain English. Where there is information from a source which is in another language, we aim to provide a summary in clear and plain English and direct visitors to the source. We aim to label all images, and use images just where appropriate. lines are wrapped according to commonly accepted typographical rules.